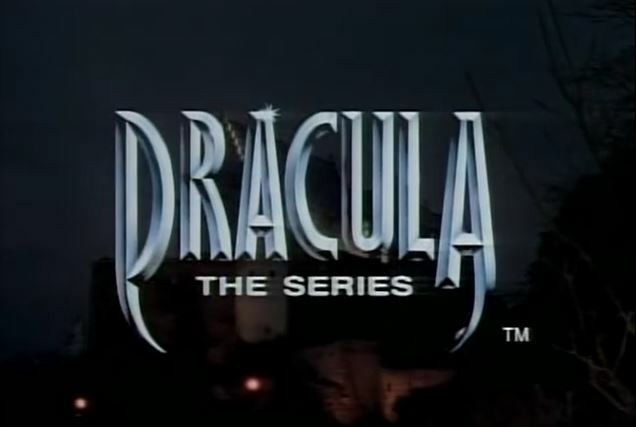 Did you know Dracula had his own TV show in 1990? This is the Halloween season, so let’s watch it! 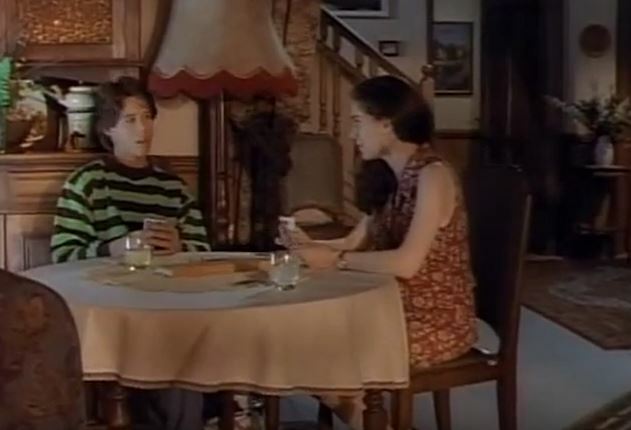 Dracula the Series episode two, “Double Cross,” explains why Dracula can’t just kill Max, Chris, Sophie, and Uncle Gustav in their sleep and be done with the whole thing. Cemetery plot: Young Max has been having nightmares, but Uncle Gustav explains that their house is protected by the Cross of the Magus, a super-powerful talisman that prevents Lucard (a.k.a. Dracula) from entering their home. Max reads in one of Gustav’s books that a talisman needs to be re-blessed regularly, so he takes it out of the house to get that done. What’s more, he leaves the cross at a local church and doesn’t get it back before sunset. Bad move, kid. This is why you always leave a note. Lucard learns the house is unprotected, and he attacks that night. The kids and Gustav try to put up a fight, with Lucard merely toying with them. Just when it looks like Lucard has won, the guy from the church shows up with the newly-blessed cross. The cross shoots lightning at Lucard (!!!) blasting him out of the house. Then, I guess Max learns a lesson about responsibility or something. King of the vampires: While working out on an exercise bike (do vampires need to work out?) Lucard is in evil rich businessman mode, gleefully ordering to shut down a factory, knowing full well that doing so will ruin an entire town. Blood brothers: This time, Max is the one who’s into music, until Gustav convinces him to read a book, arguing that reading is just as cool as rock and roll. Chris spends the episode grousing about all the stuff he’s missing back home. The new Mina: Gustav introduces Sophie as “the girl I’ve told you so much about,” which again has me wondering just what their relationship is. Later, Sophie says she would rather stay home and play cribbage rather than go to a shopping mall. Is she an old lady trapped in a young woman’s body? Stake master: The B-plot in this episode has Gustav visiting an old flame, Anna, and her new husband. There are a lot of jokes about Gustav’s misspent youth. He was once in a band… where he played tuba! Isn’t it whimsical? Unfortunately, the surprise twist is that Anna is the one who betrayed them, secretly working for Lucard. Along the way, this episode confirms that Gustav’s last name is Helsing. 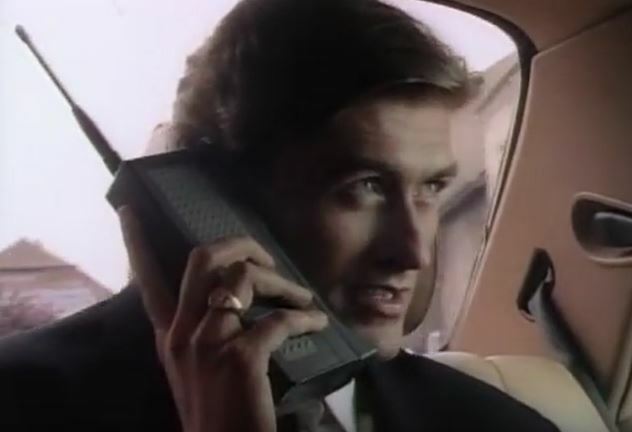 Does Zack Morris know Dracula stole his cell phone? Slayer’s Handbook: There’s a lot of tension in Lucard waiting until after sunset to attack, but we’re not told what effect, if any, sunlight has on him. Prior to his attack, Lucard somehow makes the lights in the house flicker, and causes gusts of wind to blow everyone around. We’re told that Lucard can control the mind of someone he bites, but that person won’t become a full-on vampire unless Lucard kills them. To make his escape, Lucard doesn’t turn into a bat, but a whole swarm of bats. Behind the screams: Uncle Gustav was played by Bernard Behrens, who spent most of his career, from the ‘60s to the 2000s, guest starring on numerous TV shows, in both England and US. He also had a successful stage career in England, the US, and Canada. Most interesting (to me at least) is that he was the voice of Obi-Wan Kenobi in the infamous NPR radio dramatizations of the Star Wars trilogy. He died in 2012. 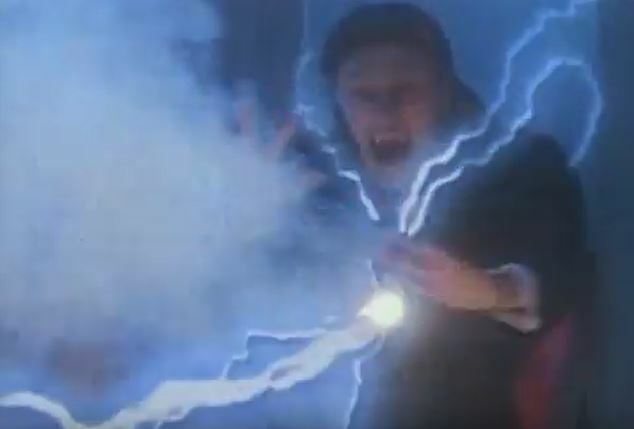 Bite me: The haunted house-type stuff that happens before Lucard’s attack is awesome, filmed with a real kinetic energy like an Evil Dead-lite. The rest of the episode is hokey and cheesy, though. I get that hokey and cheesy is part of this show’s mission statement, but geez. Next: Job market vs. meat market. 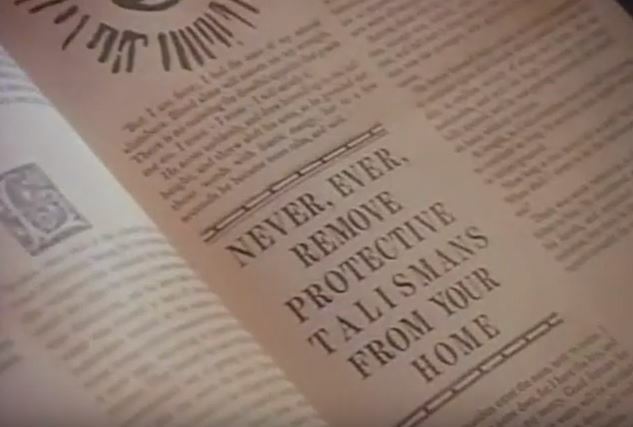 This entry was posted in Dracula the Series 1990. Bookmark the permalink.